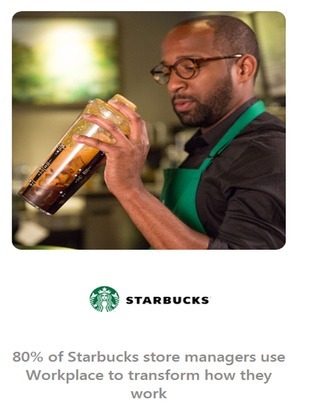 With over 14,000 stores in the United States, Starbucks store management can be a lonely and isolated experience if you don’t have adequate support from your peers. Hungry for a support network for its management team, Starbucks looked to Workplace by Facebook. Used by over 80% of store managers, the connection helped turn isolation into inspiration. Watch this video for the full story.